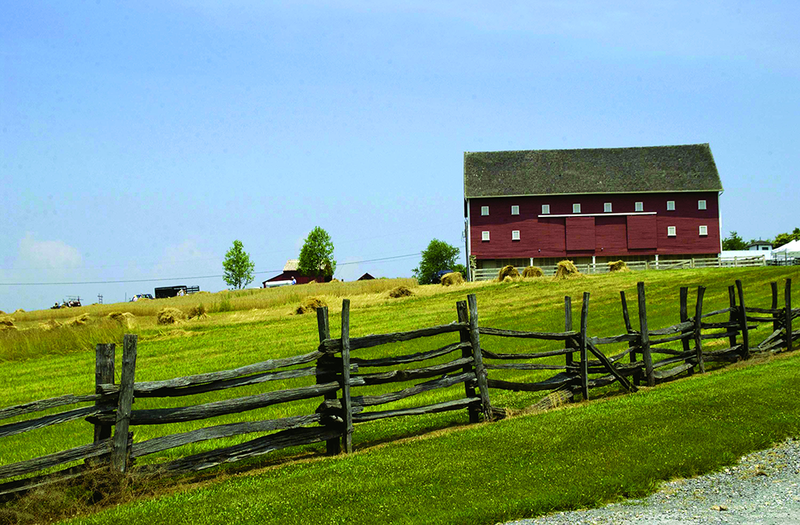 Montgomery County's Agricultural Reserve is a 93,000-acre designated land use zone that preserves farmland and rural open space in the northwestern part of the county. The Reserve has successfully kept more than one-fourth of the county as a contiguous rural area and provides economic benefits to local farmers. 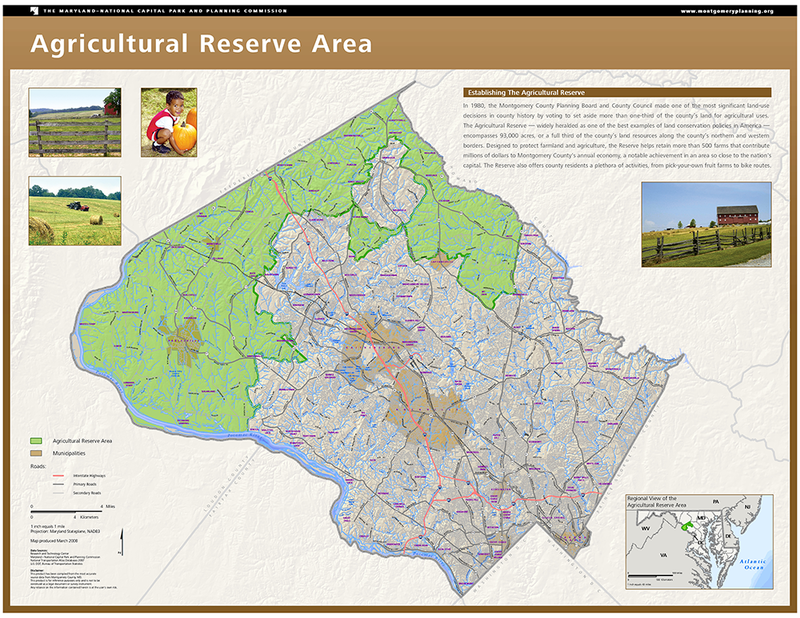 The Reserve's innovative land conservation policy is widely studied and emulated in many other locations throughout the U.S.
Montgomery County's Agricultural Reserve was conceived in 1980 to prevent urban sprawl, protect farmland, and limit development. Several measures were implemented to accomplish these goals, including reducing the rate of new residential development from one house per five acres to one house per 25 acres. The county also implemented a transferable development right (TDR) allowing landowners to recover the equity in their land without having to sell it. The Agricultural Reserve was created to preserve farmland and open rural space. Photo courtesy Montgomery County, Maryland. The policies and measures implemented through the Agricultural Reserve program helped retain 540 farms in the county and contributed millions of dollars to the local economy. Of the 93,000 acres in the Reserve, 63,493 acres are devoted to farming. The policies of the Agricultural Reserved have helped retain 540 farms and contributed millions of dollars to the local economy. Photo courtesy Montgomery County, Maryland. Counties from around the country, from California to Connecticut, have adapted the Reserve model and development transfer tools to their own locations. 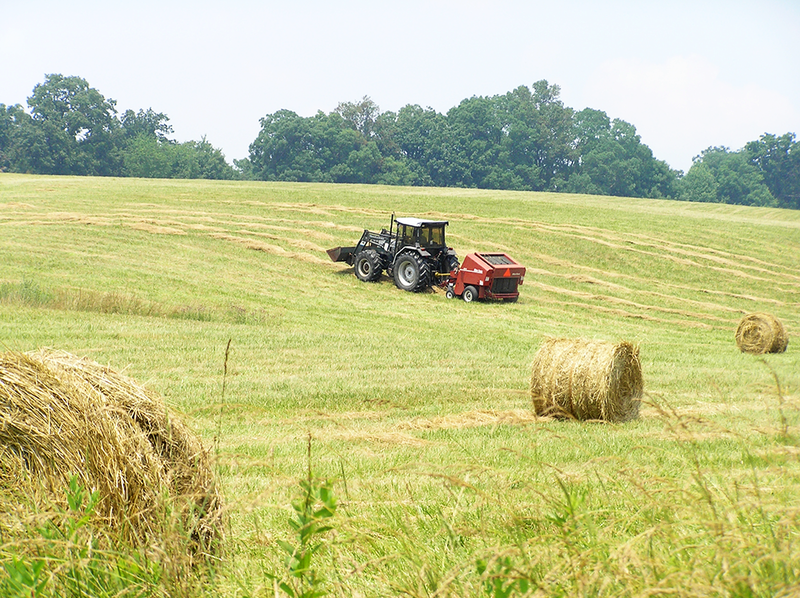 Many farmers in Montgomery County have participated in more restrictive protective measures through conservation easement programs administered by their county and state. The Ag Reserve model has been so successful that many other communities in the U.S. have adapted it to their own circumstances. Photo courtesy Montgomery County, Maryland.